In his signature black turtleneck and blue jeans, Steve Jobs’ image was ubiquitous. But who was the man on the stage under the giant iPhones? What accounted for the grief of so many across the world when he died? In Steve Jobs: The Man In The Machine, OSCAR-winning director Alex Gibney presents a critical examination of Jobs, revered both as an iconoclastic genius and denounced as a barbed-tongued tyrant. 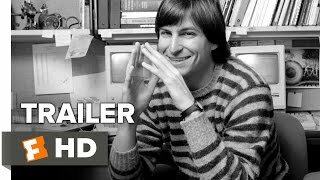 The film is a candid telling of the Apple legend through interviews with a handful of those close to Jobs at different stages in his life. Steve Jobs: The Man In The Machine is an evocative portrait of his legacy, and our relationship with the computer. It unravels the larger than life myth he so deliberately crafted, and examines the endurance of his values which continue to shape the culture of Silicon Valley to this day.